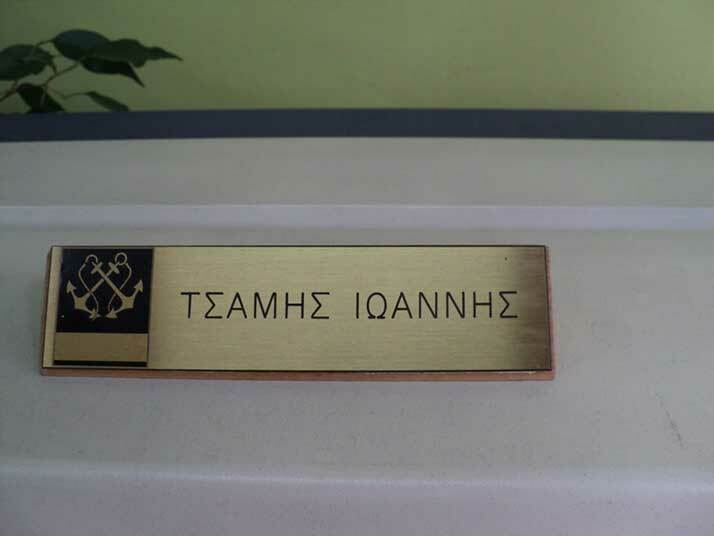 Being a professional engraver it can be challenging to engrave signs, nameplates, name tags or giveaways. Besides custom-made items for professional or private use, business clients often order big amounts of signs which have to manufactured in series productions. 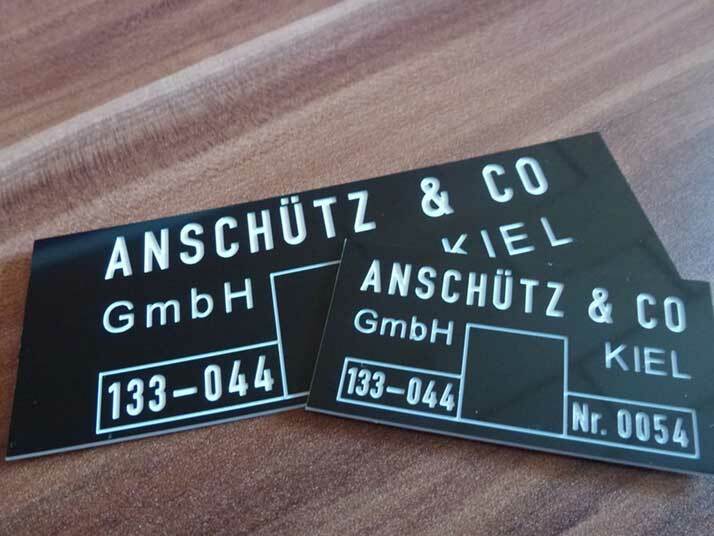 In both cases, the CNC engraving machine of the High-Z production line meets the highest demands in terms of engraving metal, plastic and wood, no matter if you want to engrave information signs, door signs or nameplates. 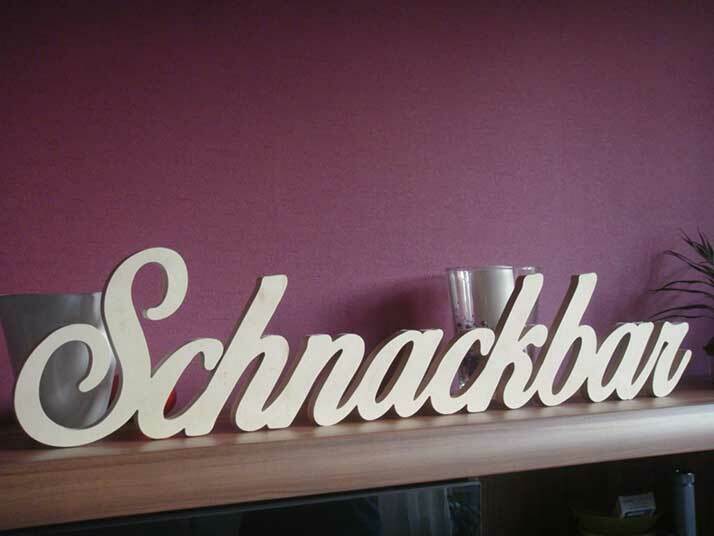 Satisfying the customer requests, the shape, size and material of the signs as well as the engraved lettering and motifs on the signs should be customisable. Therefore, you must be able to cut any shape out of the material, for example, squares, rectangles, circles and ovals. There may be no sign blank at the market to satisfy the customer request. 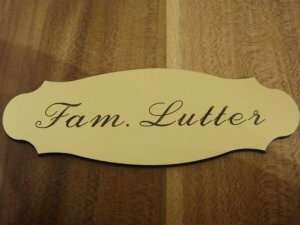 Then it turns out to be a significant benefit when you can use the engraving machine as a CNC router or plasma cutter to make custom shaped signs of any sizes for your clients. 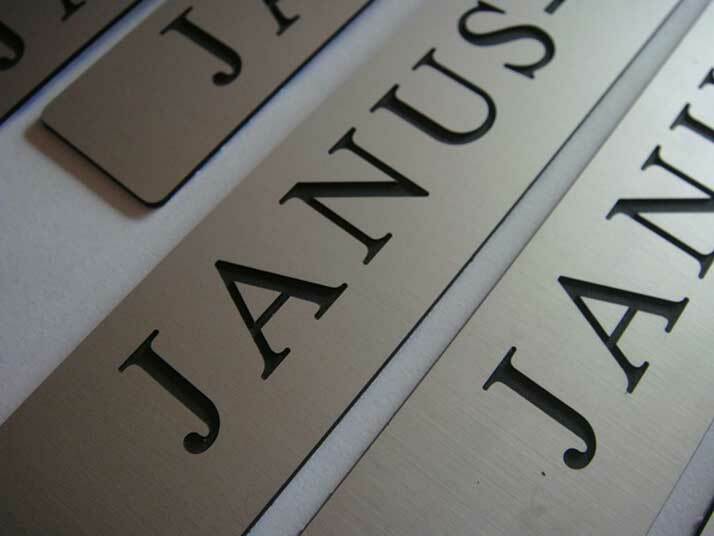 Especially when you offer metal signs with customised engravings, the in-house production is a great alternative. 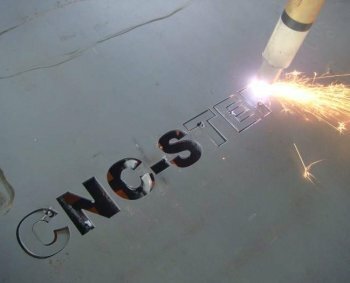 Using a High-Z machine as a plasma cutter, you can produce metal signs with custom shapes which makes you stand out from other vendors who only offer small signs with standard shapes. 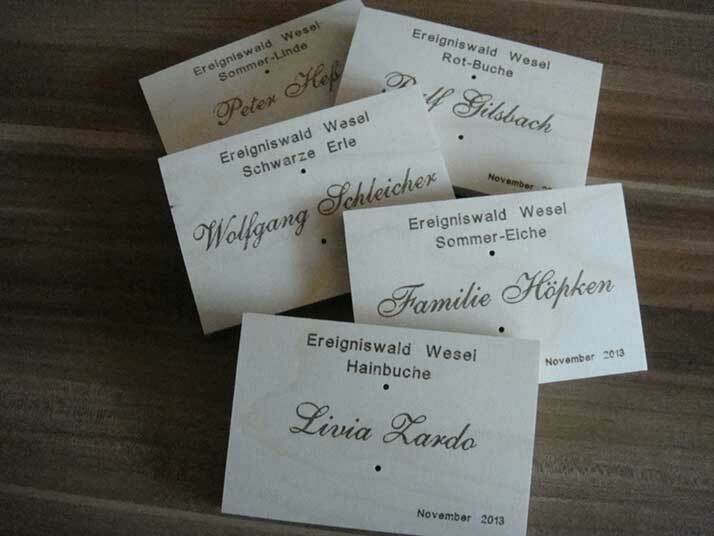 Using the engraving machine oft he High-Z standard line you can engrave written characters and motifs on signs made of metal, wood and plastic. 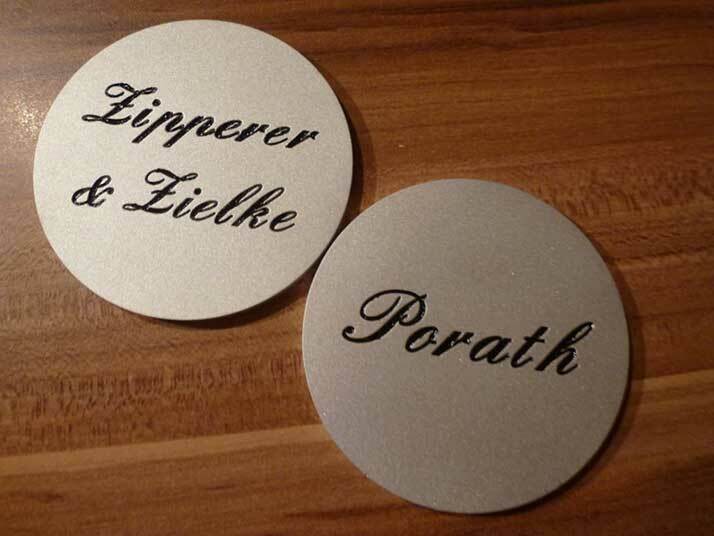 We also offer suitable fonts for engravings. 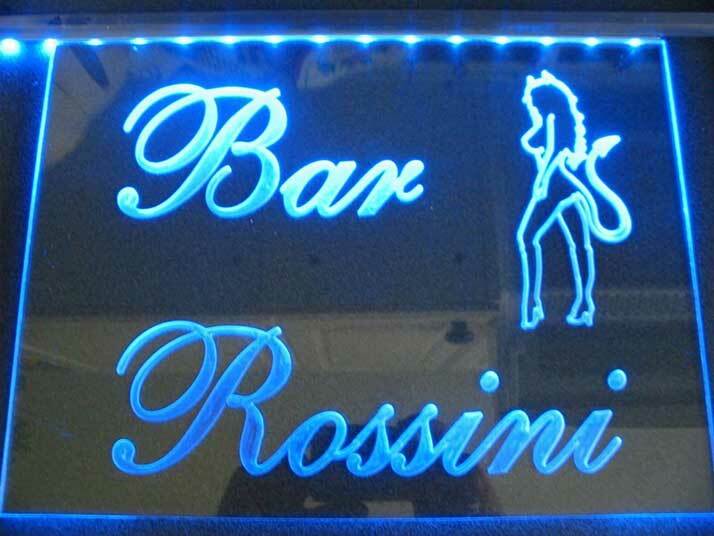 Moreover, you can cut shapes out of any material to design unique signs. 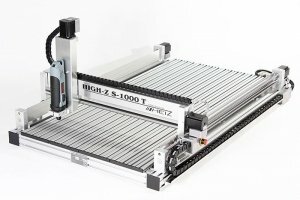 High-Z CNC engraver for perfect engravings. The High-Z machine as a plasma cutter for manufacturing large metal signs with custom shapes. Doorbell signs, nameplates and door plates are often made of brass because the polished metal shines golden and is water resistant. The engraving of brass signs is a simple application with our CNC machines. A few of our High-Z customers make their signs of this metal. 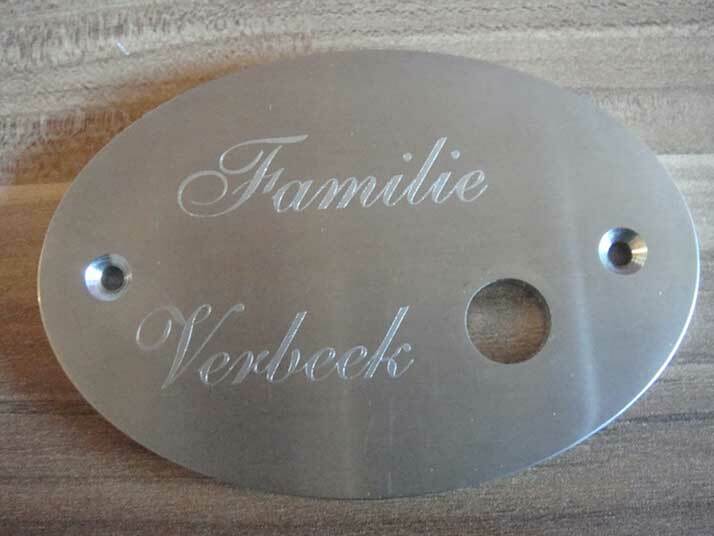 Brass plates of various sizes can not only be engraved but also milled. Machining brass is just a matter of the milling tools used. 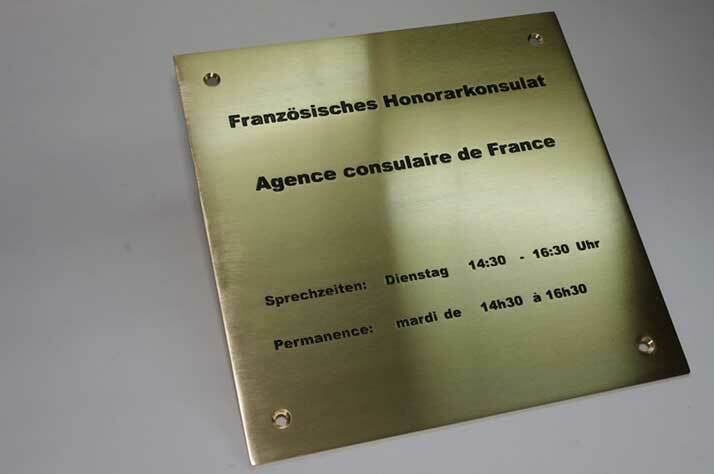 Brass plates are often polished after the engraving, or the engraving is filled with varnish. Bells are made of a variety of different materials. At the top of the trend are stainless steel and plexiglass bells. Stainless steel bells (V2A or V4A) can only be produced on high-quality CNC milling machines because of the toughness of the material, very high cutting forces and / or engraving forces are generated. 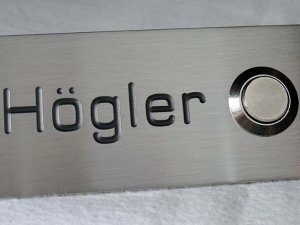 For the production of doorbell plates from stainless steel, you also need special cutters, a stable milling motor and a coolant device since otherwise the tools will burn up and become useless after a short time due to excessive heat. 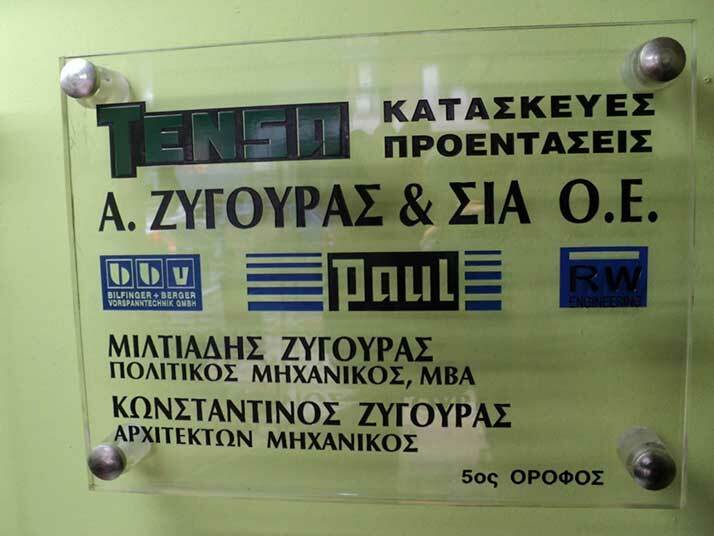 While machining Plexiglass to produce bell signs, you have to make sure that the material does not become too hot. If this happens, the Plexiglass melts, glues the milling tool and makes it useless. However, air as a coolant is usually sufficient to avoid temperatures during the milling process. 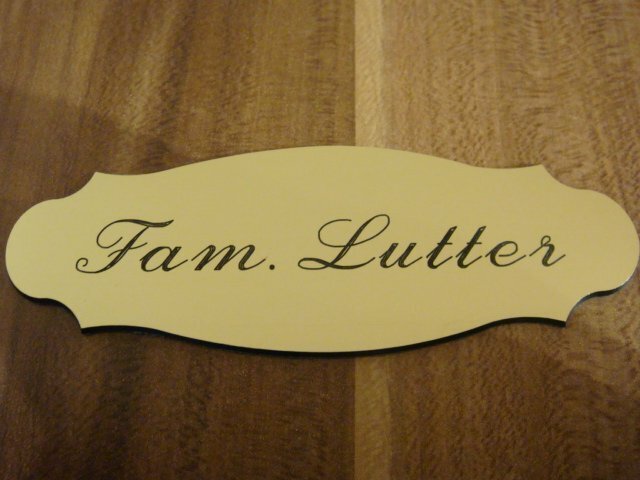 Letters, pictures and decorations are milled on engraved wooden signs. The more artful the engravings are, the more complex the woodworking is. The more complex the woodworking is, the more precise the milling cutter has to be. 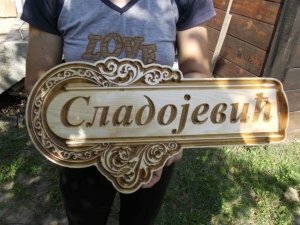 Company signs and advertising signs made of wood usually have popular letterings. 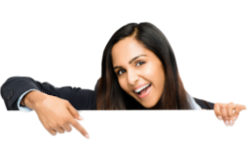 The writings must be readable immediately to have an advertising effect. Company names and advertising messages which the viewer can hardly read will not stay in mind. 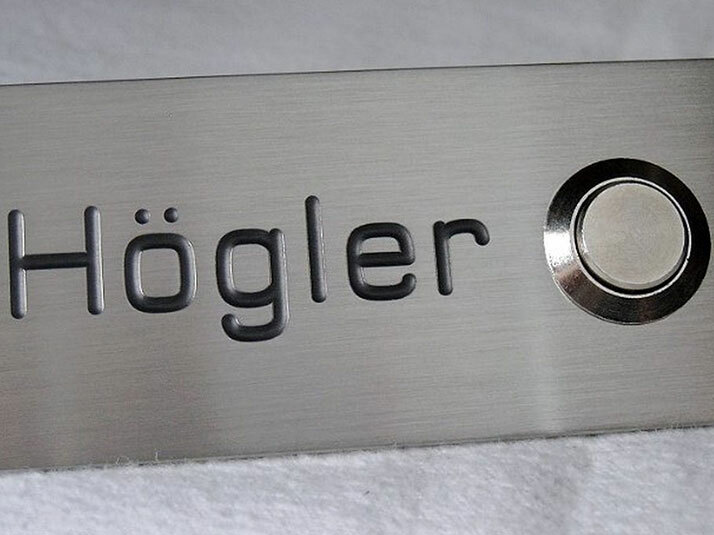 If a company logo is engraved as a picture, the wood engraving can get hard to be made by an engraver. 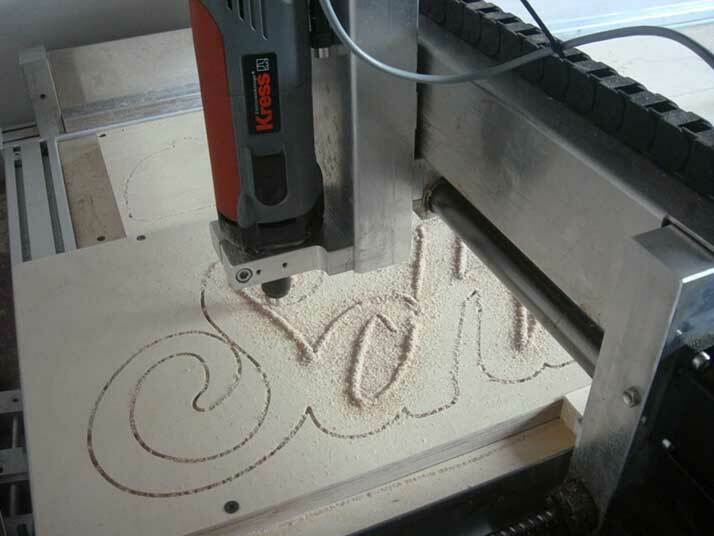 Then only a CNC machine with exact precision can do the job. 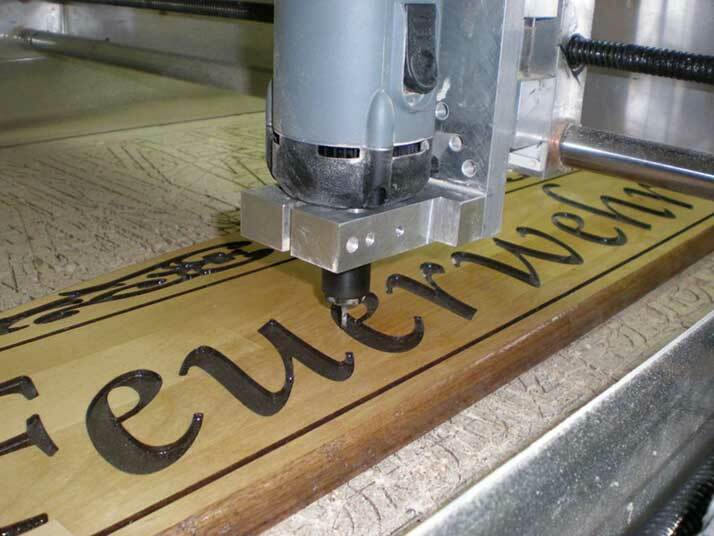 For wooden signs often the technology of the V-Carving is applied during during the engraving process. 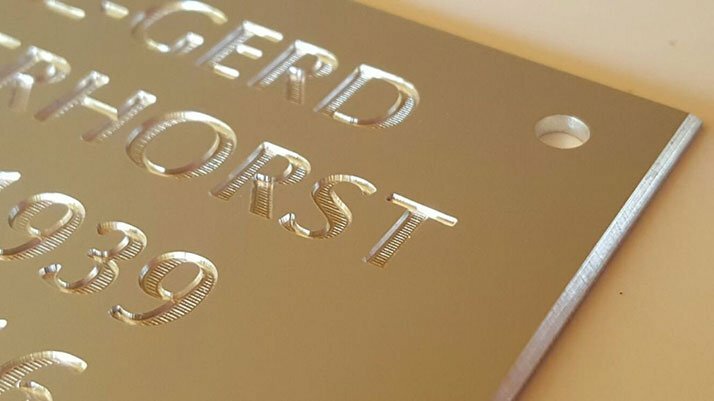 This engraving technique is a 3D traversing technique and is usually realized with a so-called V-bit, a cutter with usually 60 ° or 90 ° tip angles. 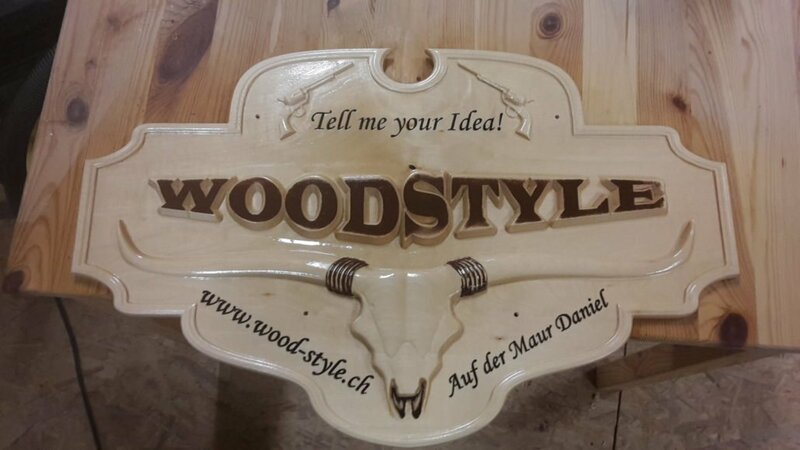 Wooden signs are often found as signposts for shops with an ecological background or ecologically produced articles or articles from nature, wood carvings, wood signs and in the wild as a signpost, trail signs, in quaint pubs or restaurants etc. 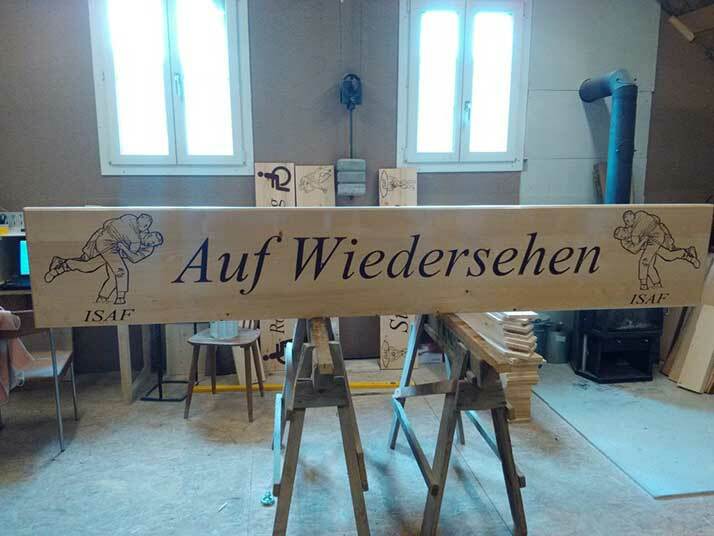 The engraving of wooden signs with the V-Carving process is also easy to implement thanks to our 3D milling function in the software ConstruCAM-3D. This is where the process is pointed out and can be realized both in negative and positive. 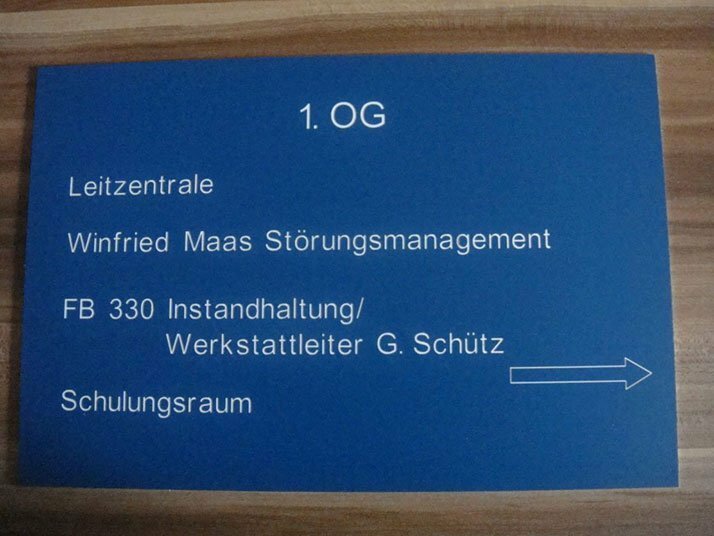 The production of wooden signs is regularly called milling, as shown in the right picture. Here, wooden signs are simply milled from a flat wood material, usually plywood. 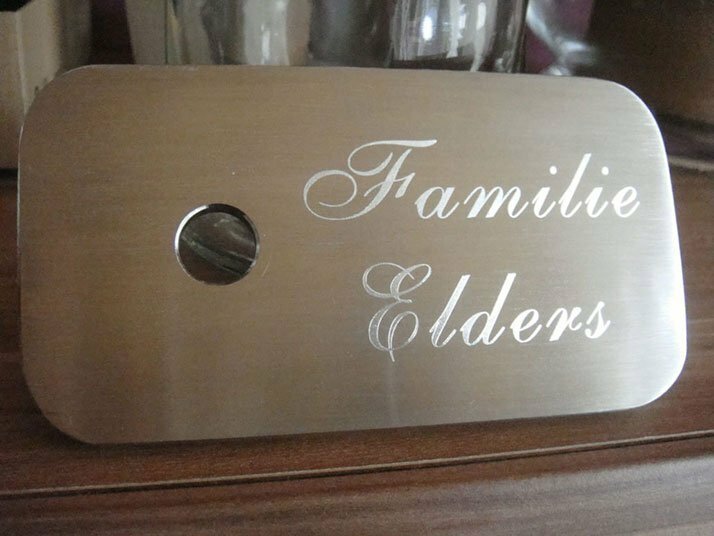 The engraving of front door plates is also very easy with our CNC machinery. 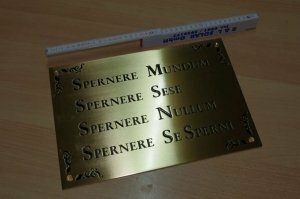 All engraving of engraving signs is extremely simple with the help of our free * CAD CAM software ConstruCAM-3D, since the finished engraving file is automatically created in a few steps from your door sign design to send it to the machine which ultimately engraves the front door sign or even other signs. 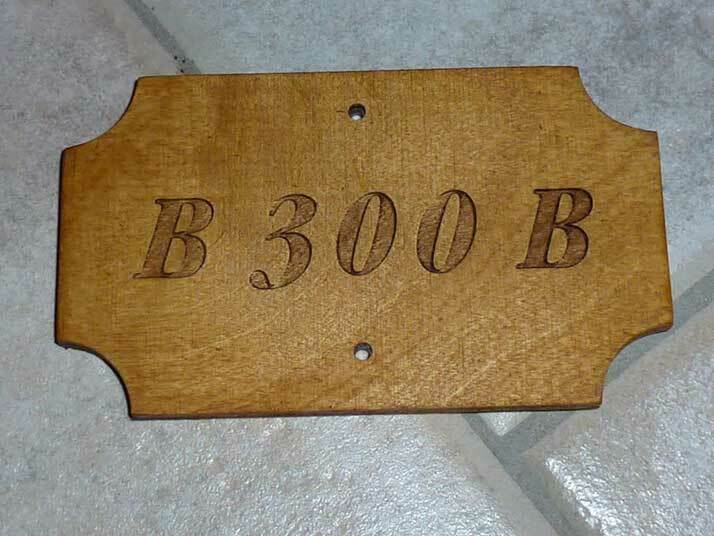 Door signs are often also directly provided with house numbers or even with a hole for the bell. 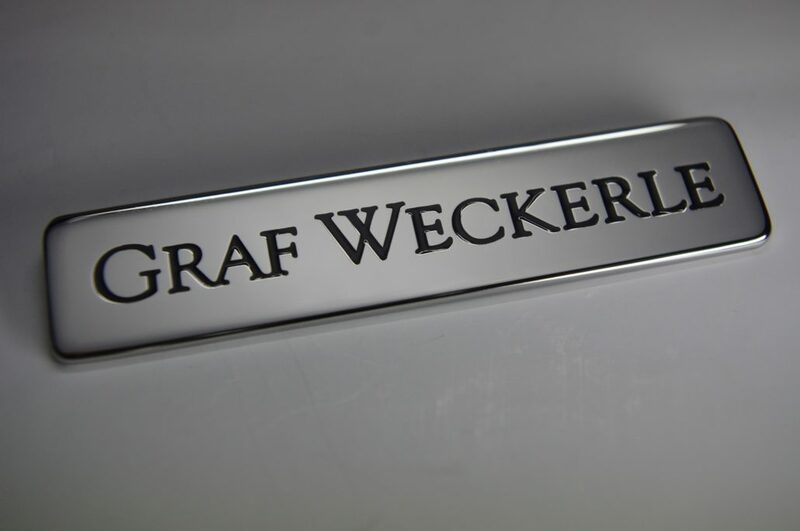 The preferred materials for door sign engravings are also stainless steel and plexiglass. 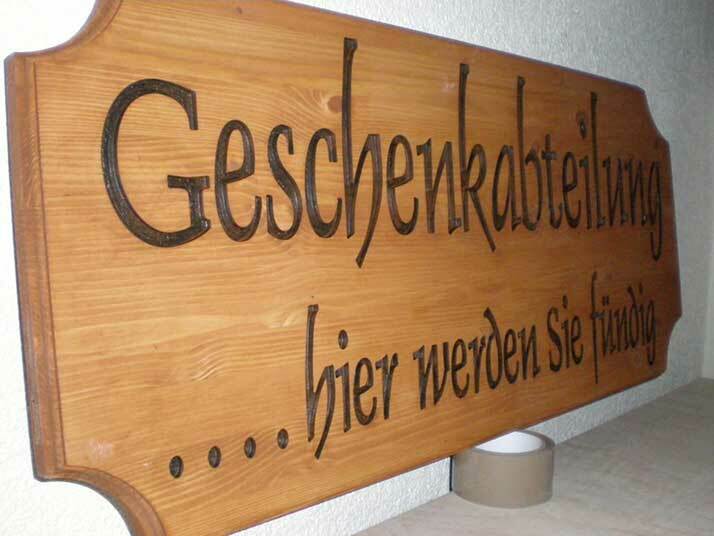 Often one also sees one or the other nicely designed home door sign of wood. 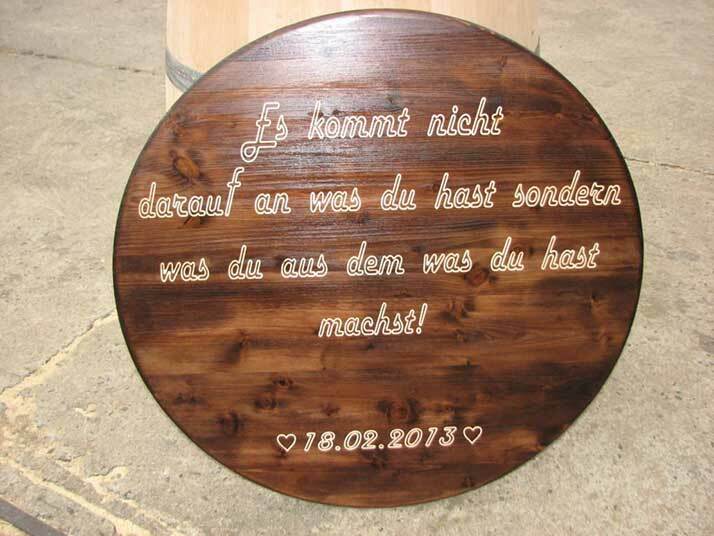 There is no limit whether 2D or 3D engravings are incorporated into the signs. 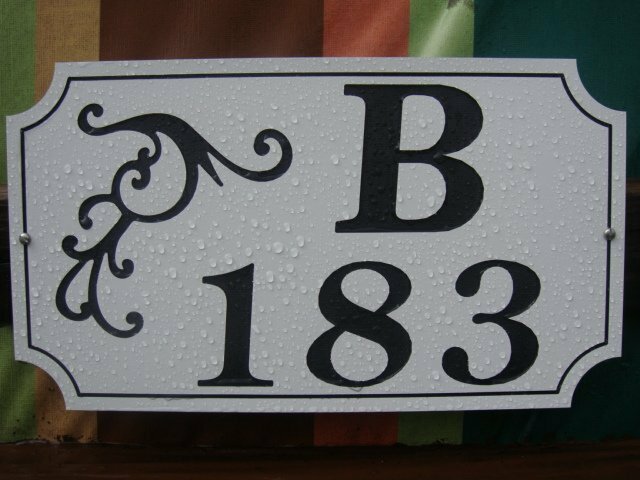 It is also possible to use special weather-resistant engraving plastics, which are available with colored or metal surfaces, in order to produce door signs. There are no limits to the creative design of the door signs. 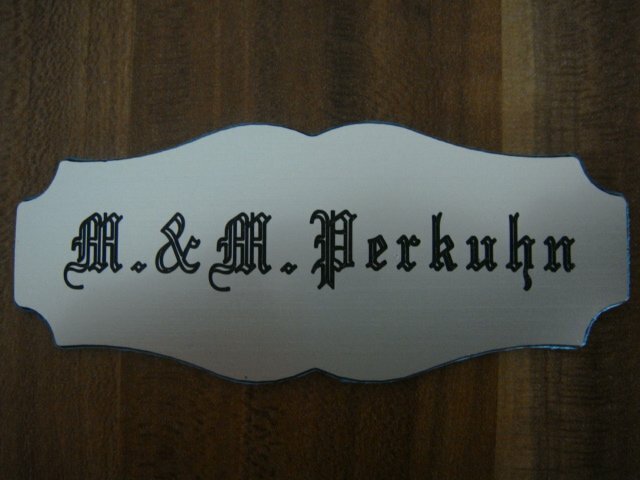 Therefore, one should not necessarily come directly from the first sign makers when seeking an individual door sign for yourself and your family. 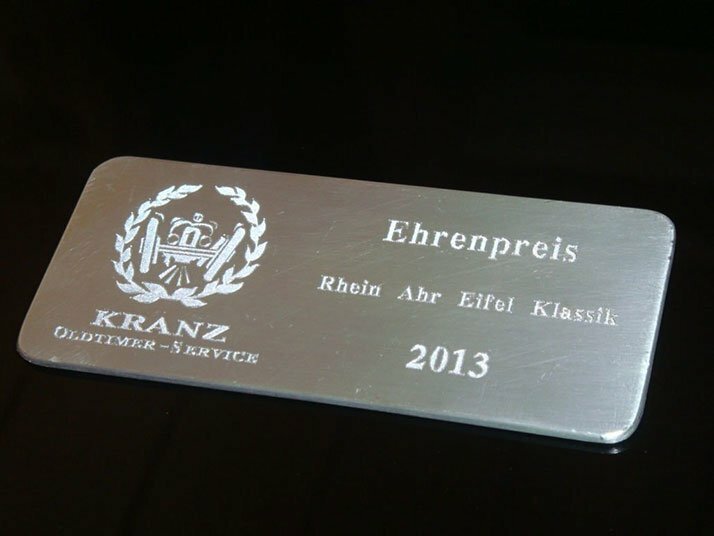 Often it is a small service provider, who can engrave first-class and individual signs and do not act so price-intensively. In the end there are of course also the so popular warning signs and prohibition signs (caution watch dog, warning caution slippery, caution oil track, no smoking, parking prohibited, everything prohibited :-)) and the often helpful signs and warning signs. Since these are almost exclusively commercial signs, without any aesthetic value, these signs are generally expedient. 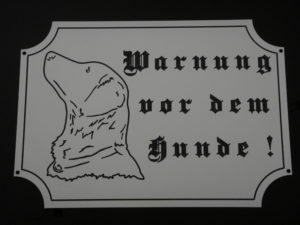 These types of signs are therefore usually engraved in inexpensive materials. These include plastics, engraving plastics such as Transply or Ply, as well as Trotec (the company name), which is only indicated differently. 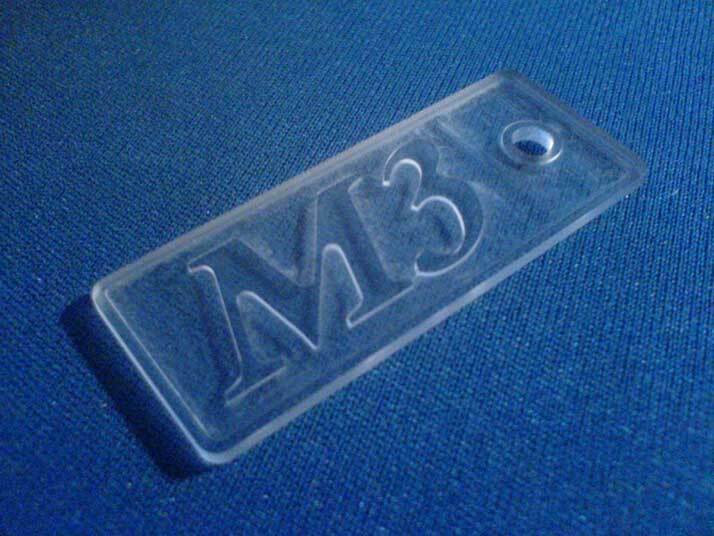 All of these plastics are multi-layer, colored laminates specially for engraving and the sign engraving. Useful signs are mostly made of weather-resistant engraving plastics. Here, various multi-layer plastics are available for up to 3 color layers. 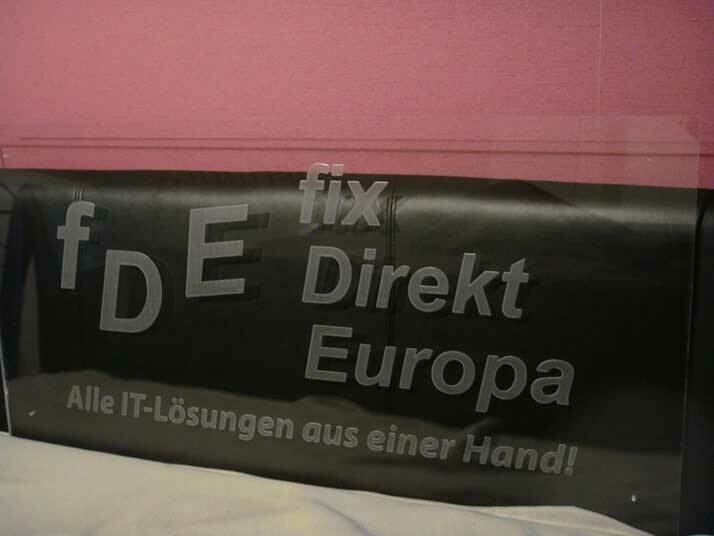 From Transply, Plexiglas or PVC. 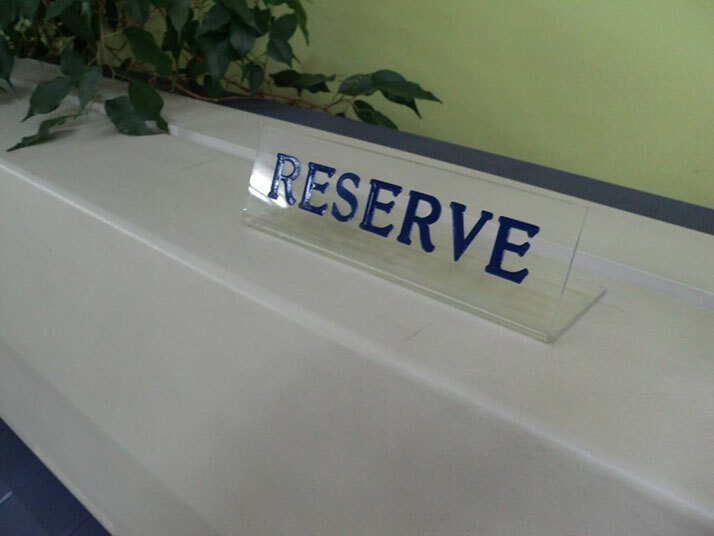 Plexiglass is engraved from behind mirror-inverted. 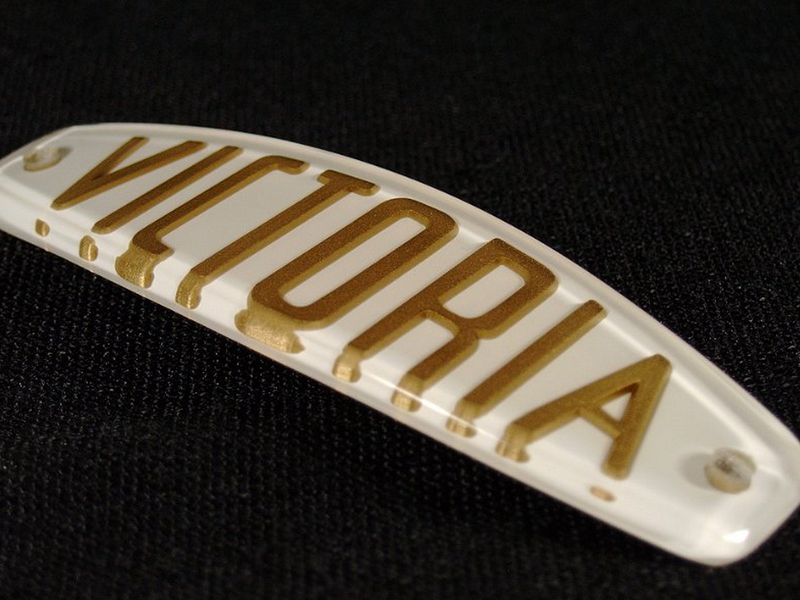 This two-layered material has on the back a colored, thinner layer, which is engraved from the back to the transparent plexiglass layer. If you place the shield in another color, the color appears from the front through the transparent plexiglass layer. If you set nothing behind, the engraved characters or letters are always black. In the case of backlight, of course, the light color of the lamp is seen. 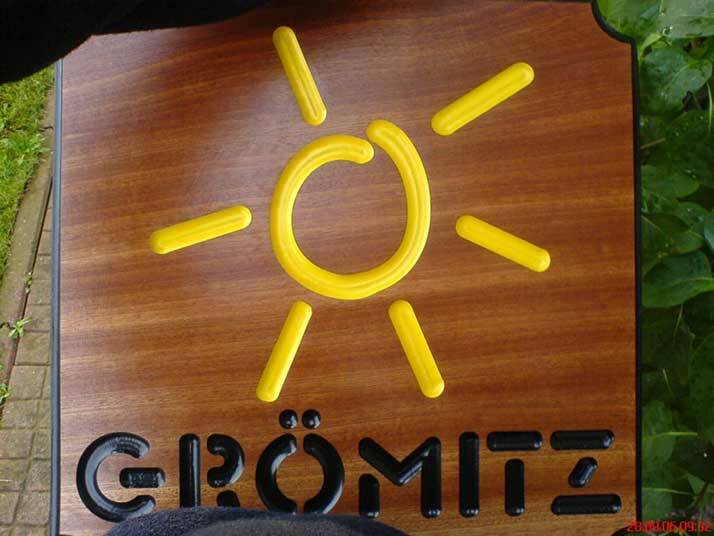 TRANSPLY is a multicolored plastic for signs engraved with final result to get more colors in a sign. Here you can choose from countless top coat colors to the chromatically glossy surface or alu brushed, satined surface. Most types are available in industrial or commercial use. 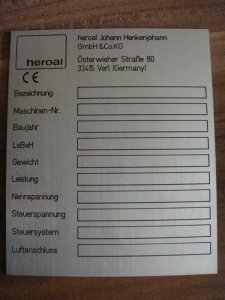 Here, they usually label or characterize machines or devices with corresponding information such as the date of manufacture, device type and manufacturing number or other important information about this device. It is also possible to engrave the type plates with all CNC-STEP machines. Here a decisive role is placed on the material to be used. 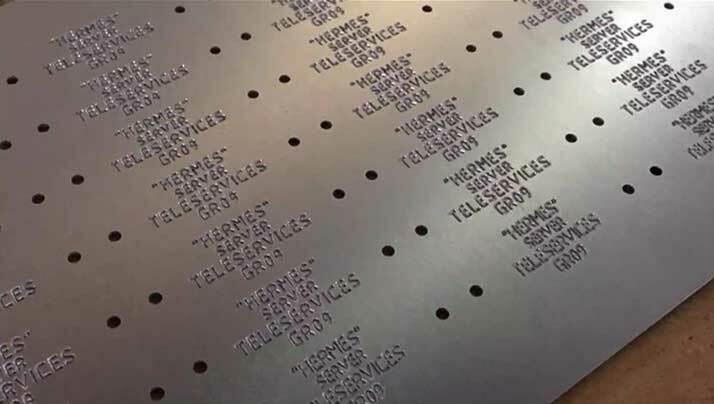 If, for example, the type plate has to be mounted on a motor which is used for outdoor use, it is important to engrave a correspondingly durable plate made of stainless steel or aluminum. 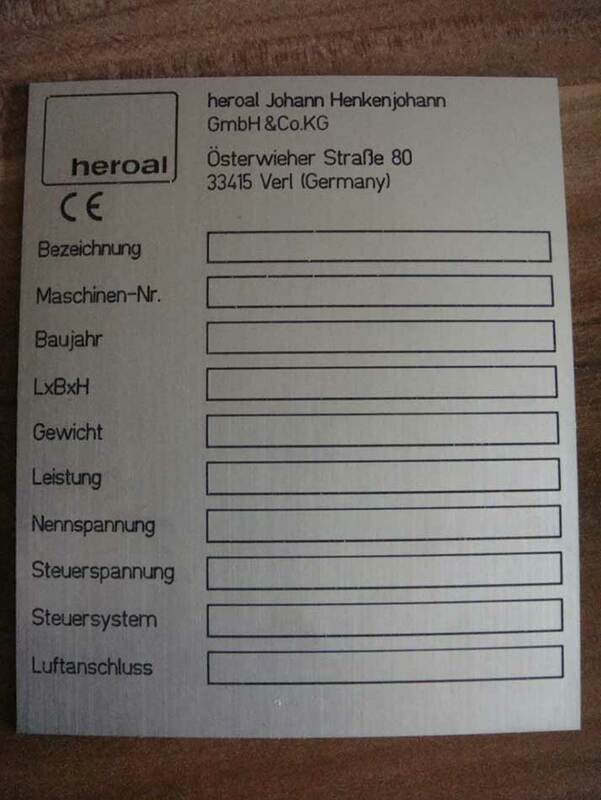 With the special type-tag module of our software ConstruCAM-3D, you can even photocopy or copy prefabricated typesheets, and then insert your inscriptions in the desired font, in the software, which later can be engraved in your sign ,with precisely this position litter.